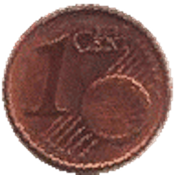 Euro Coin Math Quiz, by JRJA Software Solutions, is a Euro currency based math quiz. The coins are shown and you are required to type the value of these coins. Time limit for each word is 15 seconds. Questions are picked at random. The app tells you the number of attempted questions and the number of answers that were correct and also gives the answer if wrong. It has great sound effects.